Humans build expressways but we aren’t the only ones who use them. Back in 2004 scientists tested a theory that racing pigeon owners suspected was true: Pigeons will follow major roads to guide their flight home. In fact, the birds will go out of their way to turn at intersections. 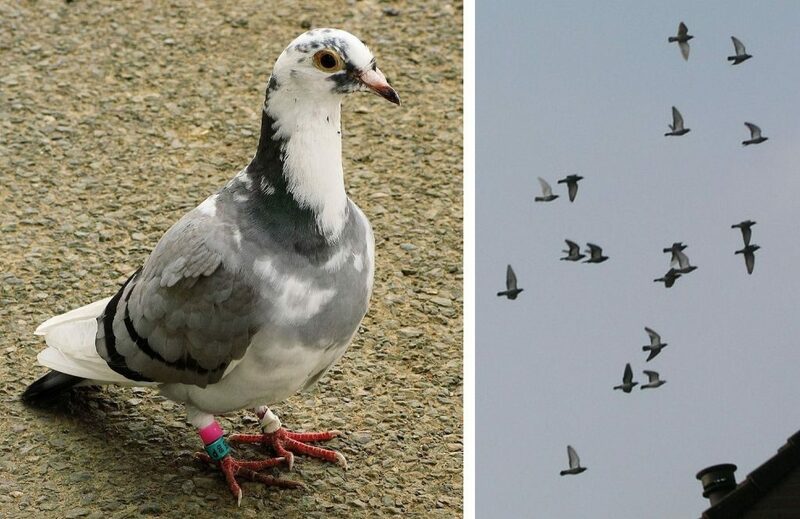 In a study conducted in Italy, researchers released racing pigeons fitted with GPS backpacks from sites 20 to 80km from home (12.5 to 50 miles). In over 200 flights, the data showed that experienced pigeons preferred to follow roads and rail lines in the early and middle parts of their trips. As they got close to home they left the road grid and made a beeline for the loft. On the first trip from each site pigeons didn’t use the grid, but the more they made the same trip the more they used big roads. Why do they do this? Scientists suspect that easier navigation above major roads makes up for taking slightly longer routes. The birds don’t have to think about where they’re going and can focus on flying fast and watching for predators. That’s why I take expressways in my home town, even when they’re clogged at rush hour. I know the back roads but I’d rather not think about navigating. Read more about the 2004 study in Science Daily.